1. 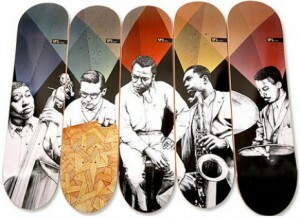 Miles Davis Quintet Skateboards – Dangerous Minds shares this set of skateboard decks depicting the Miles Davis Quintet. Amazing! 2. 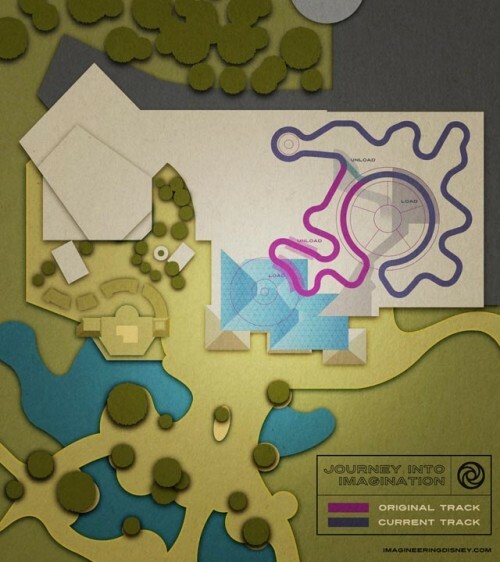 Journey into Imagination plans – Journey into Imagination was one of my favorite rides at the original EPCOT. This was back when the park served as sort of a permanent-world’s-fair, gleefully blaring the trumpet of a bold, exciting future. It’s turned into more of an outlet for B-level Disney properties today, and they’ve scrapped the original Journey into Imagination in favor of a shorter ride hosted by Eric Idle. It pales in comparison. Anyway, Imagineering Disney has taken the original plan for ride and overlayed the new track on top of it. The comparison is neat, but what’s neater is the design for the original plan! If this doesn’t scream original EPCOT, I don’t know what does! 3. 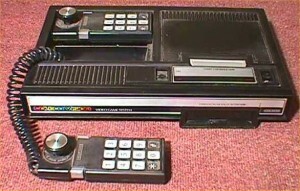 Coleco – Alongside Atari and Intellivision in the 80s was the ColecoVision system, which boasted a comparable experience to what you’d find in the arcades. It was definitely closer than Atari’s effort; I think it was probably on-par with Intellivision performance-wise. The design is certainly similar. They win the award for logo design, though. Check out this commercial! 4. 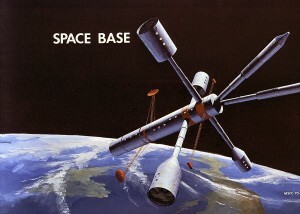 50-man Space Base – Beyond Apollo‘s a great blog that features space missions that never happened. Here’s a 50-man space base from a 1975 that never was. 5. HBO 1983 intro – if this doesn’t immediately yank your nostalgia, you’re a robot. Or younger than 30.